We’ve been busy over the festive period expanding our laminate range to give you an even better variety of the latest decors, including Light & Dark Springfield Oak, Baron Elm & Concrete Bellato Grey. We hold over 90 HPL decors across 6 different surface finishes from the UK DST Decor Collection. This is alongside a dedicated X20 Washroom Collection of matching CGL & HPL exclusively from stock; ideal for use in demanding environments such as Cubicles, Washrooms, Educational and Leisure sectors. 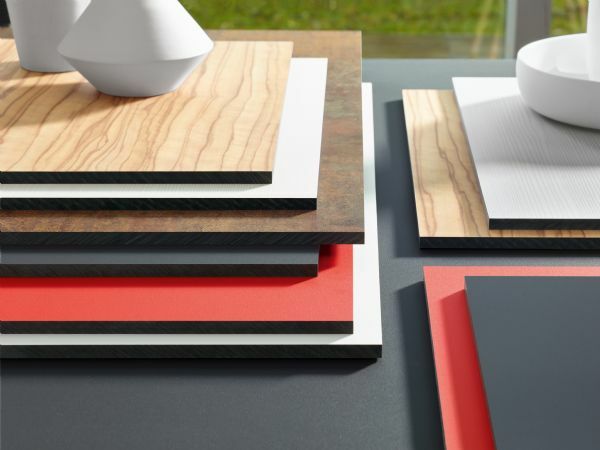 The laminate ranges are vast and offer an extensive choice of unicolours, woodgrains, metallics and stone finishes, which are also available in matching MFC & MF MDF to compliment any project specification. Spent a little too much over the festive period? Then choose from our Xpress HPL range, a combination of trend decors and finishes at commercially affordable rates. A unique collection of 18 decors in a mix of unicolours, gloss, metallic and HPL's - all available in a versatile size of 3050mm - makes them suitable for a variety of end applications. These laminate ranges are available ex-stock at competitive prices on a delivered basis across the UK. With over 175 unique decors, we know we’ve got the perfect laminate for your next project.